The lightweight and easy to use long reach extendable duster makes cleaning and dusting those hard to reach places much easier! Extends from 113cm -201cm (44.5" - 79"), Can be used in the home or your car. 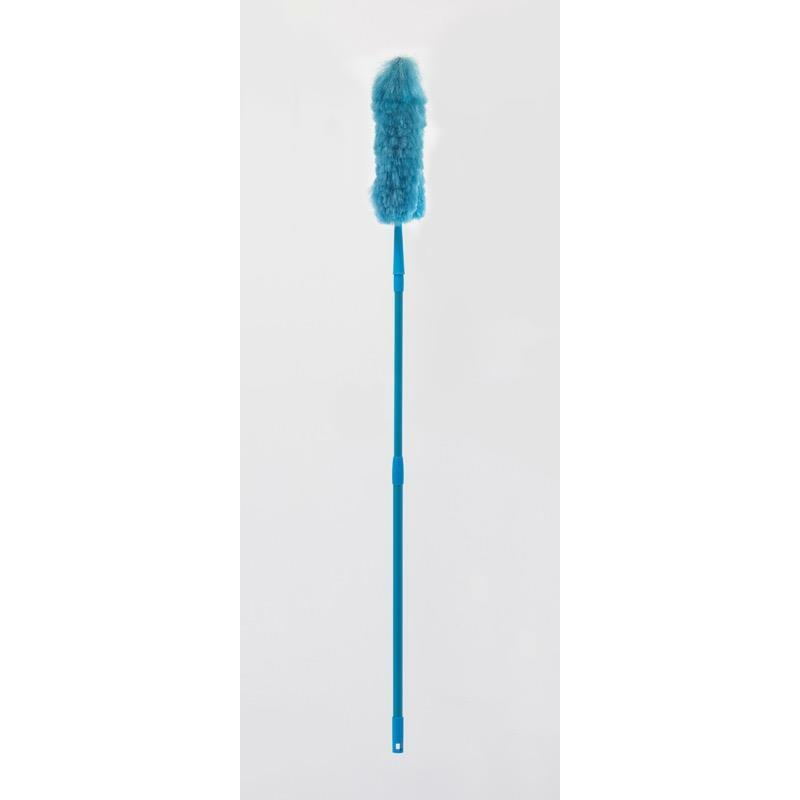 The lightweight and easy to use long reach extendable duster makes cleaning and dusting those hard to reach places much easier! Extends from 113cm -201cm (44.5" - 79"). It can be used in the home or your car. The soft head means it can be used on delicate surfaces and the duster head also creates its own static electricity,(like a magnet) this enables the dust to be picked up easily! You can reach up to high to ceilings, light fixtures and other high up areas such as your kitchen cupbaords. To remove the dirt from the duster head you would simply shake upside down or rinse in soapy water.